Trust Honeywell to get security right. The future of home safety, security and comfort is in your hands. Robust and reliable technology makes it easy to set up . 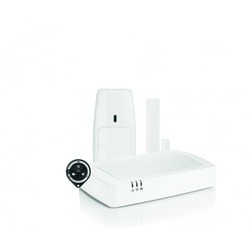 Compact and wireless accessories are quick to install, with minimal disruption. And it’s from Honeywell, a name you can trust. No lengthy manuals. No complicated control panels, and definitely no little doubts at the back of your mind. Honeywell helps you stay safe, secure and comfortable.